Neck is 9.5 Radiusw/ Dan Armstrong ModAlmost Unlimited sound controls combo'sPickup Blender knob and Vintage Russian .22 Master Tone Capacitoras well as volume bleed kit so the volume is uniform up/down. Can be registered and a Warranty !!! 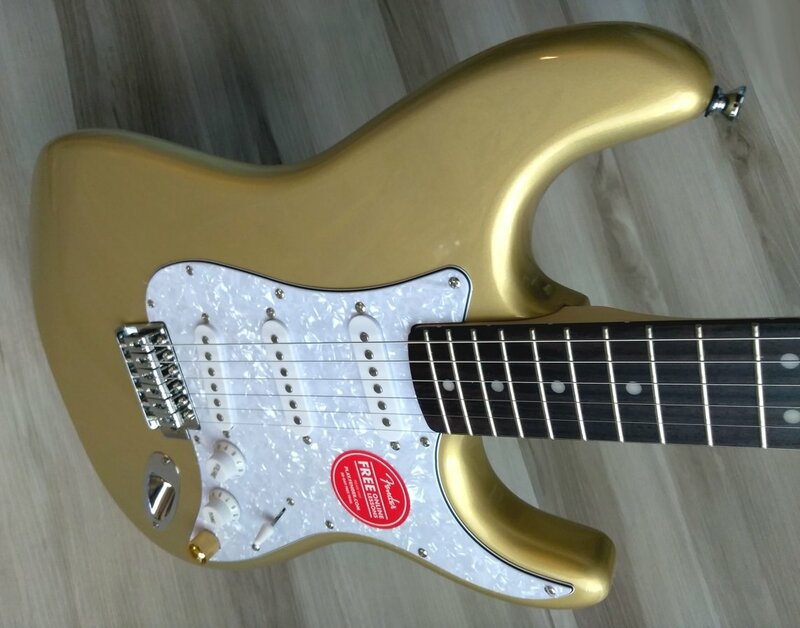 This Fender Squier Stratocaster with Tremolo HSS has everything. Its basswood body is lightweight and carved extra slim for comfort. maple neck has a 9.5" fretboard radius and C-shaped neck profile. from metal to funk. Chrome hardware includes die-cast tuners and a 6-point tremolo bridge. Payment thru PAYPAL only .. NO eChecks ! So please don't try ..